A growing number of hair salons across the province are offering the privacy required for hijab-clad women to receive services without worrying about male employees or clients catching a glimpse of what’s underneath. 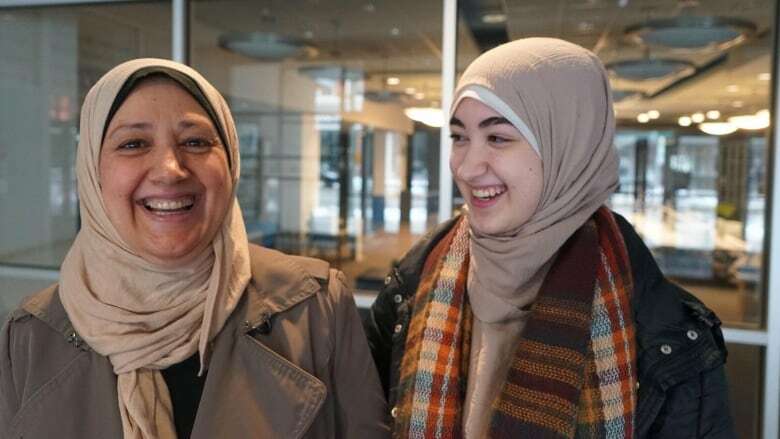 Aya Ahmet and her mother Jenan have both heard a fair share of bizarre and often laughable speculations about their hijab — a head covering worn by many practicing Muslim women. "Do you shower in it?" "Do you sleep in it?" "Do you get hot in the summertime?" One misconception that's especially striking for the London, Ont., women is when some people think they never remove their head scarves, or care for their hair. "That's not true," said Jenan. In fact, a growing number of hair salons in the city and across the nation are offering the privacy required for hijab-clad women to receive services without worrying about male employees or clients catching a glimpse of what's underneath. The step toward inclusivity is helping to break down the misconceptions related to the Islamic dress — ultimately empowering the women underneath it. A woman who chooses to wear the hijab is required to cover her hair and most of her body from men outside of her immediate and extended family circles. The Islamic guideline may differ among a spectrum of religious schools of thought. This makes it difficult for some Muslim women to walk into a regular salon and ask for a haircut or a stylish do. "Just because you wear a headscarf, it doesn't mean you don't take pride in your appearance or you don't want to get your hair coloured — it's the exact opposite," said Lamees Ammoury, who represents three salons in London including the Cut Above and Sami and Naji. After being showered with outside requests for hijab-friendly services, professional salons like the one Ammoury represents began offering Muslim clients the privacy they need in closed-off areas in the salon. "Underneath those scarves is a beautiful head of hair that has been coloured, cut and styled and these women are very stylish. Coming to a professional salon makes them feel more included, too," she said. Ammoury said an appointment would have to be scheduled ahead of time to ensure that no male staffers are working at the time of the service. 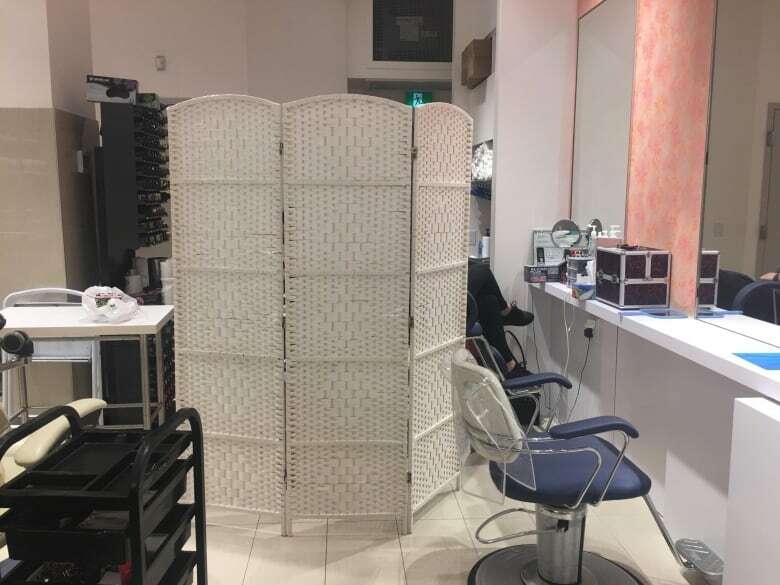 Some salons, including Trade Secrets Glamour Secrets in south London, are even putting up large screens around salon chairs to block off the area from plain sight. "[The Muslim clients] can come in and when they go out they can put their hijab back on. They pay and they leave and they're just like any regular customer," said co-owner Linda Kurtz. "We are raised in an area where there's always someone from a different background. Our inclination is to be friendly and accept humans." she said. Both Ammoury and Kurtz said they would consider offering a private room for a service, however both cited space as a setback. Before discovering the hijab-friendly services at Sami and Naji, Jenan and her daughter didn't have much of a choice. Like many covered women do in a fit of desperation, Jenan resorted to often unlicensed salons in the homes of "so-called" hair dressers who are women. "It's not bad but I don't feel comfortable," she said, recalling a nightmarish experience where she was left alone in the salon chair while her hair dresser was tending to other home duties. "I don't like it. It doesn't feel professional." 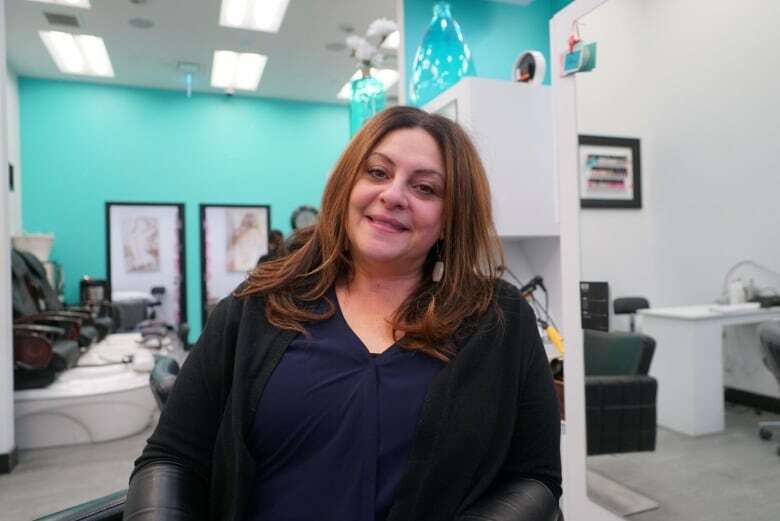 Although not all private women's-only salons will draw in similar experiences, Jenan said, nothing can be compared to the "normal feeling" of walking into a professional hair salon. "You feel accepted," she said. "You feel like you're just a normal person walking into a salon — you walk in, book your appointment, go to the back, cut your hair and walk right back out as if it's a normal thing," added Aya. Debbie Renaud has worked on the educational side of the hair industry for about four decades. 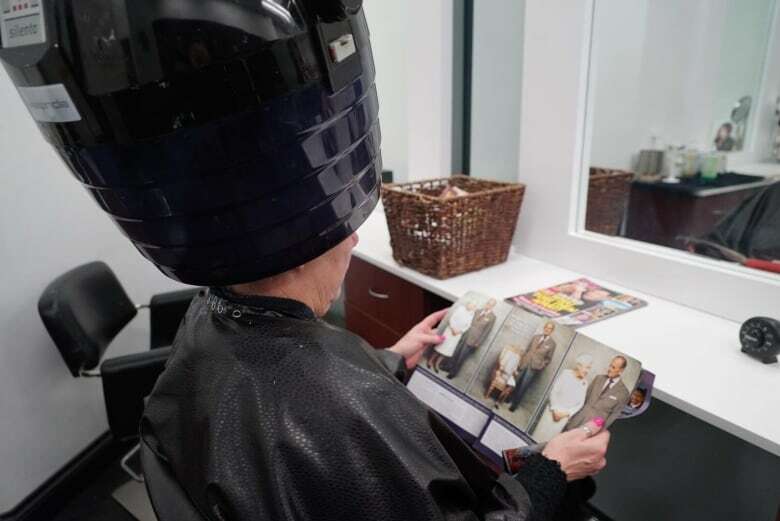 The co-ordinator of the hair stylist program at Fanshawe College said that there's progress happening behind the salon chair and in the classroom. "We welcome the change and we're looking at providing educational services about it," she said, citing that her students have worked on case studies related to the hijab in years past. "What culturally are we going to do? How are we going to change the atmosphere? How can we corner off an area of our student-run salons so we could provide those types of services?" She said her student-run salons have incorporated many multicultural elements including working on practice mannequin heads of all colours with an array of hair types. Renaud hopes to see more professional hair salons adopt forward-looking services like the hijab-friendly practice. As for Aya and Jenan, they're grateful for the change that has given them much more than just stylish hairdo — but the courage to break down some stigmas surrounding the Islamic dress.